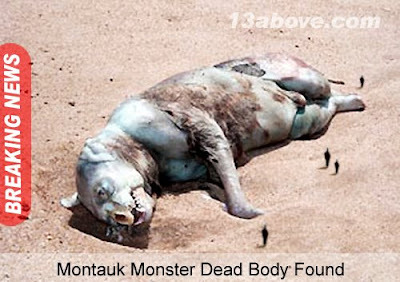 13 Above: WTF ' Montauk Monster ' Is ?? !! I Found These pictures on Discovery ( New Species Found). And i'm wonder, WTF this Montauk Monster is ??? It looks like some kind of monstrous beast!!! This is a damn sucker !! But then again, can it be some kind of " parallel universe creature " ,... demon or some kind of wild dog with a beak ?!! Looks like a cross between a dog and a pig? !